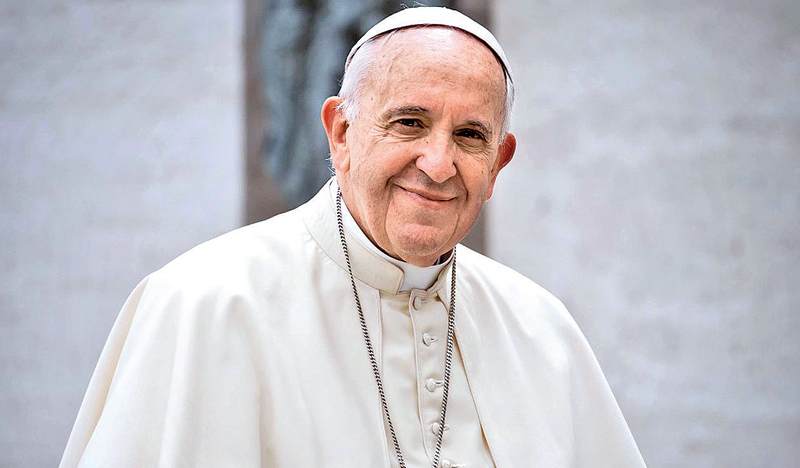 In a recent seven-paragraphed short document dated December 8, 2018, His Holiness Pope Francis had ventured on highlighting the topic of politics as the central theme of his January First customary Peace Day message for this New Year 2019. Continuing in the tradition launched by Pope Paul VI who introduced the International Day of Peace in 1968 with a message to all men and women of goodwill, inviting them to celebrate January 1 as a day of Peace, Pope Francis had broached on this controversial subject for very good reasons in order to insist on politics as a service to peace based on ensuring social justice to all and respect for human dignity without any distinction and that, in the context of various political situations that are in vogue around the world at the moment as we enter the New Year. He says: “We know that the thirst for power at any price leads to abuses and injustice. Politics is an essential means of building human community and institutions, but when political life is not seen as a form of service to society as a whole, it can become a means of oppression, marginalization and even destruction”. These adverse manifestations can be seen all over the world in its many forms judging from the kind of politics that is concretely being practiced today. Reflecting further, Pope Francis sees political activity as a social action that is inspired by the Christian virtue of charity. We know very well that this concept is not just a matter of compassion or indeed even of sympathy or empathy. If from charity, it is directly linked to the love of God that boomerangs in the love we have for our neighbour, whoever or in whatever condition that neighbor may be. To quote him directly: “Political office and political responsibility thus constantly challenge those called to the service of their country to make every effort to protect those who live there and to create the conditions for a worthy and just future. If exercised with basic respect for the life, freedom and dignity of persons, political life can indeed become an outstanding form of charity. When animated by charity, commitment to the common good has greater worth than a merely secular and political stand would have…Man’s earthly activity, when inspired and sustained by charity, contributes to the building of the universal city of God, which is the goal of the history of the human family. This is a programme on which all politicians, whatever their culture or religion, can agree, if they wish to work together for the good of the human family and to practice those human virtues that sustain all sound political activity: justice, equality, mutual respect, sincerity, honesty, fidelity”. Pope Francis makes us take note of the so-called vices in politics that make this noble profession lose its social value and deprives it of its eminent luster as had been exhibited by great and noble statesmen of yore in the modern history of international politics. In his own words: “Sadly, together with its virtues, politics also has its share of vices, whether due to personal incompetence or to flaws in the system and its institutions. Clearly, these vices detract from the credibility of political life over all, as well as the authority, decisions and actions of those engaged in it. These vices, which undermine the ideal of an authentic democracy, bring disgrace to public life and threaten social harmony. Going into specifics, the Pope states: “We think of corruption in its varied forms: the misappropriation of public resources, the exploitation of individuals, the denial of rights, the flouting of community rules, dishonest gain, the justification of power by force or the arbitrary appeal to raison d’état and the refusal to relinquish power. To which we can add xenophobia, racism, lack of concern for the natural environment, the plundering of natural resources for the sake of quick profit and contempt for those forced into exile”. Thus he has given us the full litany of modern evils that scar politics and depriving thereby the people of the immensely large quantum of benefits and blessings that can be accrued from the just exercise of political power and authority as a genuine and noble service to society at large. He then makes an ardent and passionate appeal for politicians to become “artisans of peace” in a world marked by distrust, false sense of security and ultra-nationalism and hampered by the fear of the foe and others who intrude into their lives. He then warns: “These negative and destructive attitudes would call into question the fraternity of which our globalized world has such great need”. Referring to modern evil of intimidation of others, Pope Francis observes very strongly that we are more conscious than ever of the terrible lesson taught by fratricidal wars: peace can never be reduced solely to a balance between power and fear. He is courageous enough to state that: “To threaten others is to lower them to the status of objects and to deny their dignity. This is why we state once more that an escalation of intimidation, and the uncontrolled proliferation of arms, is contrary to morality and the search for true peace. Terror exerted over those who are most vulnerable contributes to the exile of entire populations who seek a place of peace. Political addresses that tend to blame every evil on migrants and to deprive the poor of hope are unacceptable”. Directly linking political activity with social peace, the Pope states that: “Peace, in effect, is the fruit of a great political project grounded in the mutual responsibility and interdependence of human beings. But it is also a challenge that demands to be taken up ever anew. It entails a conversion of heart and soul; it is both interior and communal”. He explains how the experience of peace is many faceted with each facet running into the other: “It has three inseparable aspects:– first, peace with oneself, rejecting inflexibility, anger and impatience; in the words of Saint Francis de Sales, showing “a bit of sweetness towards oneself” in order to offer “a bit of sweetness to others”; second, peace with others: family members, friends, strangers, the poor and the suffering, being unafraid to encounter them and listen to what they have to say; third, peace with all creation, rediscovering the grandeur of God’s gift and our individual and shared responsibility as inhabitants of this world, citizens and builders of the future. Pope Francis does not fail to mention all what the great Pope John XXIII, his successor Pope Paul VI and more recently, Pope Benedict XVI, who in their encyclicals and apostolic exhortations have reflected on peace and the urgency of working for it on the level of national and international politics. He also refers to the modern phenomenon of widespread migration of people as refugees or those running away from their countries due to persecution or unbearable poverty conditions or dictatorships whom he sees as categories of the most vulnerable in our modern technocratic society. Children too are being mentioned as those who deserve and have the right to grow in age, knowledge and human maturity in a world that witnesses multiple forms of oppression and injustice against them. His peace letter begins with the following observation: “We know that the thirst for power at any price leads to abuses and injustice. Politics is an essential means of building human community and institutions, but when political life is not seen as a form of service to society as a whole, it can become a means of oppression, marginalization and even destruction”. We know that politics calls for great sense of responsibility since it concerns the life of people and that for politicians, their genuine, sincere and authentic service is not only just a matter of duty but one of conscience and moral concern. Good politicians are an asset to the people as they journey towards social peace and material prosperity while bad politicians are the bane of the people for they will certainly fall short of the ideals and the hopes that people at large have placed in them. It is a very serious and morally reprehensible breach of trust, the bad effects of which will disrupt the entire social fabric of a people or a country. If politicians are genuinely committed to the service of the people and be catalysts in their journey to economic prosperity, social cohesion working towards building political stability, the path to progress of a country is clearly assured. Bad politics will disrupt peace, create divisive conditions and stagnate growth. It is therefore the bounden duty of the people to choose good politicians to ensure their common good and all-round well-being. Pope Francis’s reflection on politics as a service to peace is a timely theme for all who are engaged in this noble profession to give it a serious thought. In his annual New Year address to the Diplomatic Corps this January 7th, the Pope came back to this peace message with the words: “There is a close relationship between good politics and the peaceful coexistence of peoples and nations. Peace is never a partial good, but one that embraces the entire human race. Hence an essential aspect of good politics is the pursuit of the common good of all, insofar as it is “the good of all people and of the whole person and a condition of society that enables all individuals and the community as a whole to achieve their proper material and spiritual well-being. Politics must be farsighted and not limited to seeking short-term solutions. A good politician should not occupy spaces but initiate processes; he or she is called to make unity prevail over conflict, based on “solidarity in its deepest and most challenging sense”. Politics thus becomes “a way of making history in a life setting where conflicts, divisions and oppositions can achieve a diversified and life-giving unity”. The exchange of diplomatic relations with over 170 countries, including Sri Lanka since September 1975, and the opportunities Popes have had since the first ever by Pope Paul VI in 1968 to address the United Nations General assemblies, have provided great space for them to surface issues connected with international politics which have a clear bearing on maintaining world peace and good will among all nations. The presence of a permanent representative of the Vatican at the UN serves well to carry the voice of the Pope to be heard within its hallowed walls in the course of debates and deliberations. It is the voice in favour of a multi-lateral diplomacy. The interest Pope Francis shows in all political events that happen throughout the world is seen when on every Sunday at noon he appears at his window showing his great concern for conflicts going on in countries and pleading with the pilgrims who jam-pack St. Peter’s Square to pray for peace. One of the most poignant gestures he made was when on June 8, 2014 he invited the national leaders of Palestine and Israel to the Vatican to pray for peace after which he called on them to embrace each other and plant an olive tree in the Vatican gardens to serve as a sign of hope and a symbol of the longed-for peace among these two communities. The Pope is not a politician but being the Sovereign of the Vatican City and one who espouses the cause of the Kingdom of God, which is one of justice and rule of law, human rights and solidarity as well as the commitment to nature and its environment, he rightly focuses on issues that touches his ministry and service, which is primarily spiritual and moral, in the wider interest of world’s people.